Background: Bisphenols and alkylphenols are industrial chemicals widely used in the manufacture of plastics. In addition, alkylphenols are commonly used as intermediates to produce surfactant. In the last few years, concerns about the use of these substances have increased due to their negative effects as Endocrine Disruptors. Humans may be exposed to bisphenols and alkylphenols through several sources but foods are believed to be the main exposure route. Methods: An overview of the literature concerning the analysis of the bisphenol and alkylphenol levels in foods has been reviewed. We focused on the most recent literature (2010-2016) and only articles, reporting analyses on more than ten samples were considered. 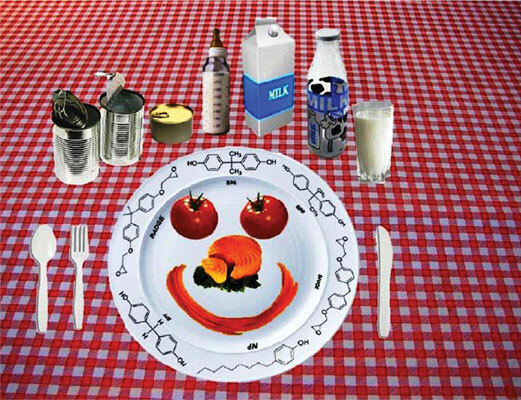 Results: Concentration levels of alkylphenols in foodstuffs, reported in the literature, suggest diet to be an important route of human exposure to these contaminants. BPA is still the most detected bisphenol in food matrices. It is ubiquitous in foodstuffs prevailing in canned foods that continue to be the main route of exposure to bisphenols for humans. However, its levels are always below the current migration limits. Conclusion: Data concerning the levels of multiple bisphenols in foods are still poor as well as toxicological studies on the potential effects of the bisphenol mixtures. Based on the foregoing, further studies should be carried out in order to collect scientific findings to help governments, policy makers, and food safety authorities to amend the current legislation on bisphenols. Bisphenol A, bisphenol A analogues, alkylphenols, endocrine-disrupting chemicals, food bisphenol and alkylphenol sources, human exposure.